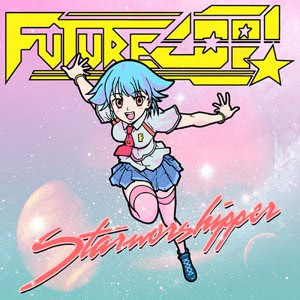 Hello Futurecop! fans. You've came to the right blog, obviously. We've just got word that their amazing and previously featured tune "Starworshipper" is now available for remix! So, all you aspiring producers out there... Get on the download, use your illusion, twist and turn, rattle and shake, and make love to the Starworshipper. Maybe your remix will get highlighted on Playmaker and/or any other blogs out there. Their track 'Starworshipper' hit us like a bomb and here's a new one for all the dreamers out there. 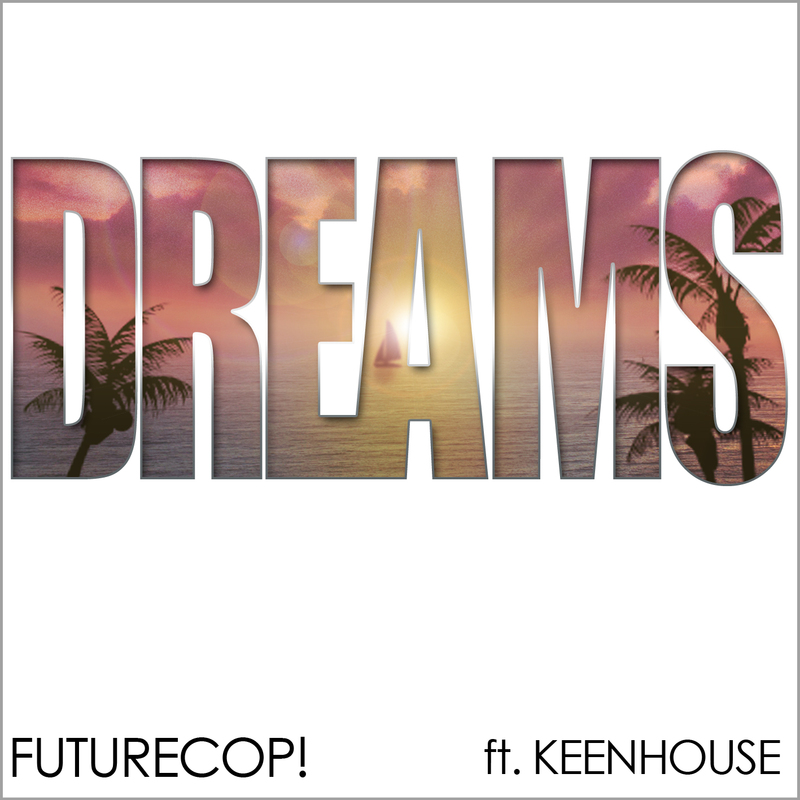 Yes, things are heating up for the Futurecop! Their full album is just around the corner of a worldwide release and they have an exciting U.S. tour with Passion Pit coming up. 'Dreams' is one of those songs from the album and is being released by Binary in L.A. It may be one of the most poppy songs on the album and it strikes us there isn't a radio version available. Anyhow, there's a few remixes that come with the release of the 'Dreams' single. And yes, it features Keenhouse (on vocals?) which only adds up to one epic dreamwave collaboration. Check out this amazing new collab called Cusax. It's the epic congregation between Chris Faccone from Sakura Night and Chris Stallone from, well the 80s! Both names must ring a bell for frequent Playmaker readers and their joint effort is pure musical dreamwave bliss. You can feel the synth work of Kenobii blending into the bowling basslines of 80s Stallone, while the second song is just a stand still beatless symphony of oozing waveforms. These songs tell a sweet story and have a romantic feel to them, perfect to wake up to. So check out the 2 song EP on bandcamp with one tune free for grabs! The latest EP by Aminova "The Transfer" is yet another serene, beautiful and wonderful work by this London based artist. Aminova's touch is a peaceful ensemble of pulsating waves... Retro-futuristic jams at it finest, with a sound that reminds us how older Anoraak tracks used to sound. It's all up for share on bandcamp and there will be a physical copy available soon which you can purchase directly of the man himself. Anyhow, here's the title track for free download. 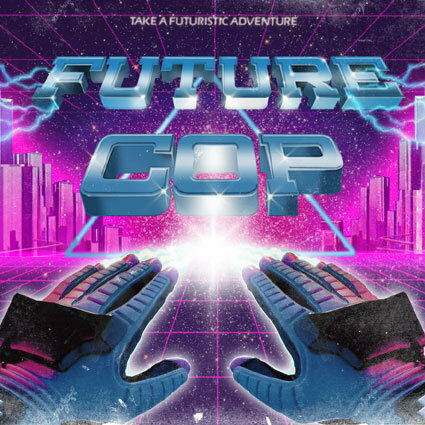 This is Futurecop! and we are fans! Check out their new single 'Starworshipper' taken from the up and coming debut album 'It's Forever, Kids' The production bar has been raised to the roof and this single is cute, poppy and heartfelt space music at it's finest. Be sure keep an eye on Manz and Peter, U.K.'s finest connoisseurs of 80s trivia. They have been standing on the front of this movement since day one... It's F-Cop o'clock and Playmaker is so highly stoked we need an extra exclam !! Today marks the release Embryonik's new single 'Space Cadet' on Binalog productions. The original + a ton more remixes are available right now through Juno. Already a classic in our mind. So hold tight, put on your space suit and helmet to join us on this epic journey to the stars! This rocket is about to take off and this is it's soundtrack. Here's the original 7" version for free download + 2 more remixes we'd like to highlight by Discoballistic and 80s Stallone! Chicago baller and Electromajic wizard Keith Masters just passed on the mic for the second coming of his single 'Nobody But Me'. This time, the fun-o-meter is pushed up all the way to the maximum while he brought over some friends, raps about Lindsay Lohan and cuts it fresher than ever before. Freshman stand up, peppermint swag! Give it up for Keith Masters along Pugs Atomz and Kosha Dillz on the feature. Who's killing it right now? Well, many ofcourse... But Stockholm based Mitch Murder is rolling aces high and we'll show a few reasons why. There are 3 projects in the limbo, some of what you may be aware, and some new stuff yet to be discovered! Here is the collaboration he is doing with Felix Snow on vocals. Some of his more smother, if not, smoothest work thusfar. Really like the romantic, airy-feel to these tunes and we are happy to share them with you for free! Then there is already the new and wonderful "This Is Now" EP. We are happy to share the bandcamp links as a preview. Check it out and please buy it when it comes out! So it seems like he's been working with some vocalists on his tracks and it works out really well. So here is the wonderful new song 'Alright' featuring the mysterious Kristine. Check out the awesome video edit for that... You know, everything is gonna be alright!